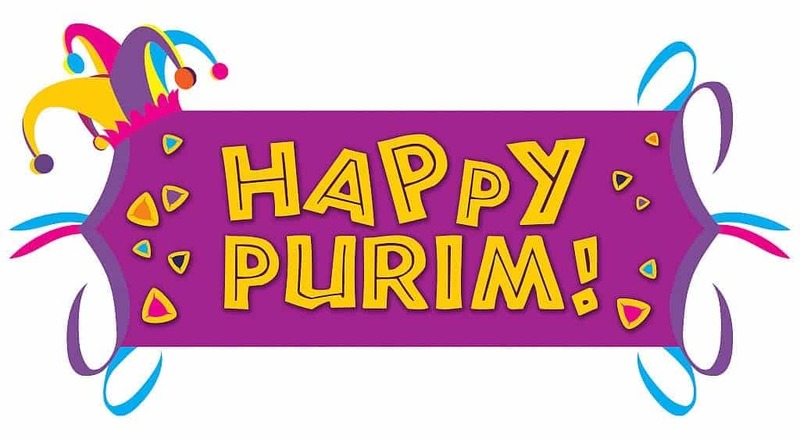 Fun Purim Preschool Activities for the classroom or home. la la la la la la …..
we go to shul we go to shul for the megilla reading and then back home and then back home the meal that we’ll be eating la la la la la la…. we give tzedakah give tzedakah to the poor and then the shalach manot that’s delivered to the door la la la la la la…. Oh, oh, oh what a town! Oh, oh what a t-o-w-n!!! Is jumping up and down! Purim day, Purim day. What a happy holiday. Wear a mask, wear a crown. Dancing all around. My hat it has three corners, three corners has my hat and had it not three corners it would not be my hat. Use hand motions. My–point to yourself, Hat-touch head, three–put up three fingers, corners–touch elbow. Each time you sing the song leave out a word and just use the hand motion. First leave out my, then hat, then three, then corners. Finish by singing the complete song again. Pat a cake, pat a cake, baker man, bake me hamentashen fast as you can. You roll it and fold it and make corners three, put it in the oven for the children and me. If you hear the name of Ahasuerus turn around….. If you hear the name of Mordecai shout hooray….